Home BUTTERFIELD, Jeremy & Constantine PAGONIS (eds. ): From Physics to Philosophy. 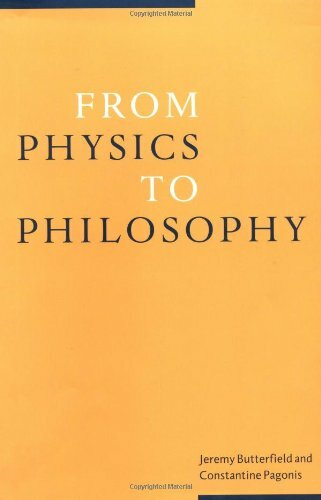 Title: From Physics to Philosophy. Publisher: Cambridge, etc. : University Press, 1999. This collection of essays by leading philosophers of physics offers philosophical perspectives on two central elements of modern physics, quantum theory and relativity. The topics examined include the notorious "measurement problem" of quantum theory and the attempts to solve it by attributing extra values to physical quantities, the mysterious non-locality of quantum theory, and the philosophical aspects of the search for a theory of quantum gravity. Together the essays represent some of the most recent research in philosophy of physics, and break new ground within the philosophy of quantum theory. Address: Redondo Beach, CA, U.S.A.